Papa Massata Diack, a former consultant for the IAAF, and ex-IAAF anti-doping director Gabriel Dolle are charged with breaches of the IAAF's code of ethics. Former All-Russia Athletic Federation chief Valentin Balakhnichev and coach Alexei Melnikov are also in the dock. None are expected at the three-day hearing, which starts on Wednesday. 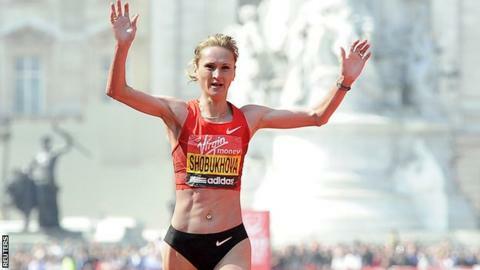 The charges relate to the payment of about £435,000 that Russian former London Marathon winner Liliya Shobukhova allegedly made to have her doping violations covered up. Her 38-month ban from track and field was reduced by seven months after she turned whistleblower for the World Anti-Doping Agency. A decision from the hearing, which will be held in London, is expected in early January. Russia have been banned from international athletics competition after a report by Wada's independent commission alleged they were guilty of "state-sponsored doping".